Whether it is a smaller job complimenting our other services such as fence repair or building a carport, or a large jobs such as a home remodel or building project, Shepherd’s Company can also work as a general contractor for your small to large construction projects. Our work has spanned the range of private homes, businesses and public projects. From additions to existing buildings to new construction, Shepherd’s Company has been a trusted name in building construction for many years. Want a new bathroom, completion of an unfinished basement or to redo one room or several rooms, build a garage, or complete an add-on? 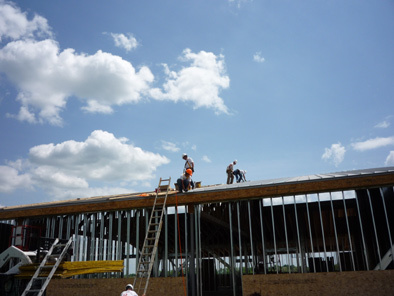 Need wood or steel framing, welding, electrical work, concrete work, or any other specialized skill? We are able to offer you references that speak for our quality, work ethic and ability to complete your job on schedule and within budget. Shepherd’s Company can help caulk inside and out to keep unwanted moisture and air outside your home. From repairing minor leaks to sealing control joints on exterior curtain walls, you can rely on Shepherd’s Company to keep your home, storefront, or building well sealed. Caulking is part of the range of waterproofing services we offer our customers, complementing our concrete and deck sealing expertise, and the preventative aspect of our roof and gutter cleaning and guard solutions. 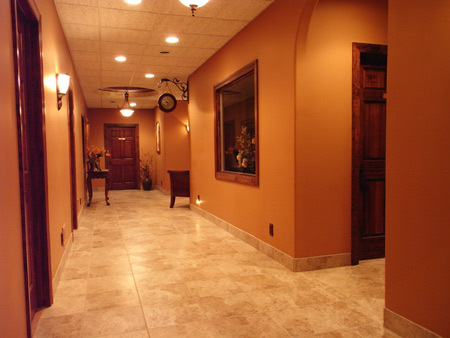 From cabinet installation to drywall installation and/or repair, tiling, hardwood floors, or crown molding repair, Shepherds Company has you covered. We have a variety of skills and an impressive resume of past projects, including private homes, retail stores, restaurants, churches, schools, and office, industrial, and university buildings. We would be happy to discuss a bid or estimate on any job size. 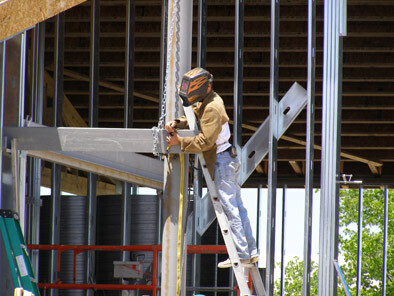 We do evaluate each project for the right fit with crew size and services as our staff is available. Shepherd’s Company has served Mid-Missouri and the centrally located cities for over 30 years, including Ashland, Auxvasse, Ballwin, Baxter, Boonville, Brazeto, Camdenton, Centralia, Chesterfield, Columbia, Defiance, Eldon, Ellsville, Eugene, Fayette, Fulton, Harrisburg, Hermann, High Hill, Holts Sumitt, Imperial, Jonesburg, Kingdom City, Kirksville, Lake Ozark, Lake Saint Louis, Leawood, Lohman, Manchester, Martinsburg, Maryland Heights, Mexico, Middletown, Mokane, Montgomery City, New Florence, O’Fallon, Osage Beach, Roach, Rocheport, Saint Charles, Saint Louis, Saint Peters, Sedalia, Sunrise Beach, Tebbetts, Vienna, Warrenton, Weldon Springs, Wentzville, Westphalia, and neighboring cities.